This national phenomenon is significantly magnified in the urban management of South Africa’s metropolitan municipalities (metros), particularly Cape Town. The inequalities associated with urbanization are manifested both spatially and economically, with the majority of the poor living on the periphery. It is estimated that working class citizens spend up to 40% of their income commuting to better economic opportunities, but the public transport system has, over time, become unreliable and unsafe. In addition to the cost of transport, the housing and basic services crisis in Cape Town is prevalent, with an estimated 204 informal settlements and thousands of backyard shacks predominantly situated in poor black and colored neighborhoods located on the periphery of the city, reinforcing apartheid spatial planning and increasing fiscal pressures on local government. There are also increasing fiscal pressures on the City of Cape Town’s local government that have severely impacted service delivery. This past financial year, residents in Cape Town owed the local government $6.8 million in property rates and taxes (most of the state subsidized housing stock on the periphery- both ownership and rental- do not pay any property rates), and severe drought in 2017/18 put unprecedented fiscal pressure on the city to deliver services whilst investing in climate-proof infrastructure. In response these urban crises, South Africa’s national government introduced a number of municipal-level legislative and fiscal instruments. However stringent grant conditionality, the opaque nature of developmental process and rampant corruption has limited any form of innovation to the urban crisis. These issues are compounded by a weak public participation process that diminishes citizen voices and limits fiscal accountability. Thus, despite significant government policy frameworks, the apartheid spatial form and race/class/gender divisions continue to prevail. Public participation sits at the heart of the South African constitution, but despite progressive legislation and frameworks, the realization of active citizenry and true participation remains a pipe dream. This has resulted in recurring service delivery protests, and ultimately, poor urban governance which is significantly visible in the fiscal accountability sector. Public sector budgeting, particularly in metropolitan areas, is generally seen as the key lynchpin in urban development decision making. However, attempts to comment on budget planning and expenditure by civil society organizations has had limited impact for three primary reasons. First, the budget document is incomprehensible for the common citizen. It is presented as a 600 page hard copy document and doesn’t provide legible information on specific neighborhoods or wards. The information the budget document provides can only be unraveled through deep analysis and requires specialists who can decipher spreadsheets. Second, public participation in the budget process happens after decisions by the City Council have already been taken. Third, there isn’t a clear public framework that determines the criteria for decision making. The public sector does not share any models for prioritization of projects or service delivery interventions, and this lack of clarity makes the process susceptible to political interference and favoritism. Ultimately citizens are disempowered in key decision making processes that significantly impact their lives. As a means to frame new forms of citizen participation and improve fiscal accountability, both coalitions hosted a series of workshops and dialogues in their respective jurisdictions. CAPP developed a manifesto of principles to improve public participation that focused on transparency, information sharing, inclusivity, and accountability. MURA developed resolutions for greater accountability on land transactions, affordable housing, and economic investments. DAG continues to play a role in developing the capacity of civic organizations while producing research-based knowledge products. For example, DAG developed a web-based platform to strengthen civic solidarity and widen coalitions. As a result, the civic coalitions continue to grow and explore deeper structural issues relating to inequality and justice. Cross-class coalition building hasn’t been an easy task. While civics across class and race will agree that the issue of public participation is important, it is fairly obvious that neighborhoods on the periphery are dealing with very different issues than their inner-city counterparts. Peripheral neighborhoods are often characterized by high rates of violence and serious social ills while the inner-city is more focused on housing affordability, gentrification, and built heritage. This polarization often means that civics on the periphery may not feel as passionate about topics the inner-city civics may feel are pressing. Despite the contextual differences, cross-class coalitions continue to convene to discuss improved urban governance and social change. These urban governance issues are emergent but relate to proper public participation, fiscal transparency, and political and administrative accountability. Bridging knowledge gaps on government legislation and policies: Several workshops and dialogues have highlighted civil society knowledge gaps on government legislation and policies. Equipping civics and coalitions with information on key legislation, government procurement processes, fiscal mechanisms etc. underpins any radical rethinking of urban development. 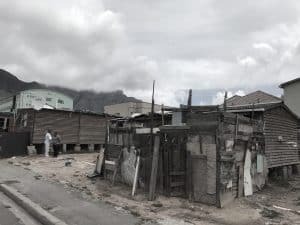 Development Action Group (DAG) is a non-profit organization working throughout South Africa to address underlying causes of poverty and inequality in urban areas. The group has over 30 years of experience in working with community based organizations to unlock opportunities to access basic services, land, tenure rights, and affordable housing.